November will be an especially busy month for Sonnenblick Development’s hospitality activities. Chairman Bob Sonnenblick (at the 7th Hole at Pebble Beach) tells us he’s just finishing design and has put financing down for a $75M Hyatt House on the campus of the USC Medical Center; groundbreaking is slated for Nov. 1. 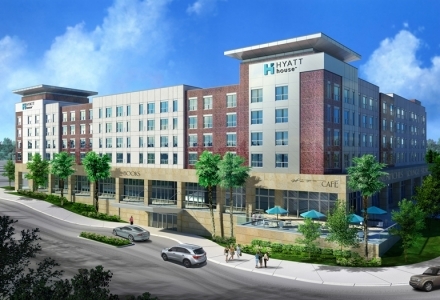 Also getting started that month: a $40M Hyatt Place in the new terminal building at Sacramento International Airport. He’s got other hotels in the works in Palm Springs and in Pinehurst, NC, where a $150M, 330-room Westin Hotel will boast two golf courses. With 200 rooms and suites, and surrounded by four hospitals, the USC Hyatt House just east of Downtown will cater to patients and their family members. (As long as your continental breakfast is better than the hospital food, you’re on the right track.) In addition, Bob’s searching up and down the SoCal coast for waterfront hotel sites; but there isn’t much oceanfront left. He’s not deterred, though. 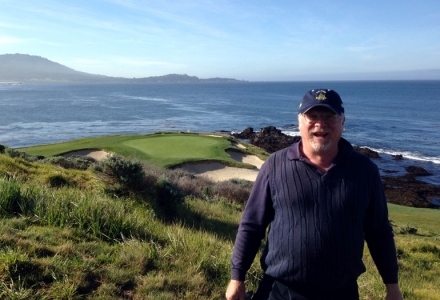 He’s involved on projects on the waterfronts in Seattle and Palm Beach, Fla., and makes time to go up to Pebble Beach once a month to golf and get inspiration on the 17-Mile Drive. We hope you’ll join us for our LA Construction & Development Summit, April 24 at the JW Marriott at LA Live.